It is easy to mimic those that set themselves apart. Perhaps few have been mimicked, caricatured and parodied as much as Dev Anand and that too over several generations. It is testimony to the longevity of the man, the actor, the writer, director, and producer. To be considered as one the triumvirate of the Indian film industry in the 50s and 60s along with Raj Kapoor and Dilip Kumar speaks volumes of his popularity and contribution. Dev Anand's career spread over three innings. The first innings was pre-70s and defined him really and catapulted him as one of the three superstars. I have little re-collection of this period, except for a few movies I saw much later in life. His second innings, started with a bang with "Johnny Mera Naam" in 1970. Some film historians also claim it was this movie that made Hema Malini famous. 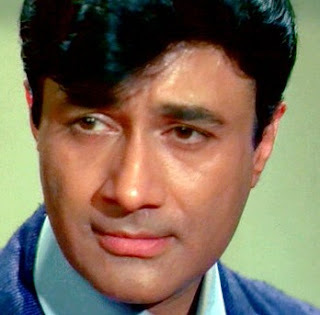 If Rajesh Khanna had teenage girls and married woman swooning over him, Dev Anand had his fair share too. And then were guys like Amar, my next door neighbour, who would insist on wearing these ghastly yellow bell-bottom trousers that Dev Anand wore and made famous in one of his movies.